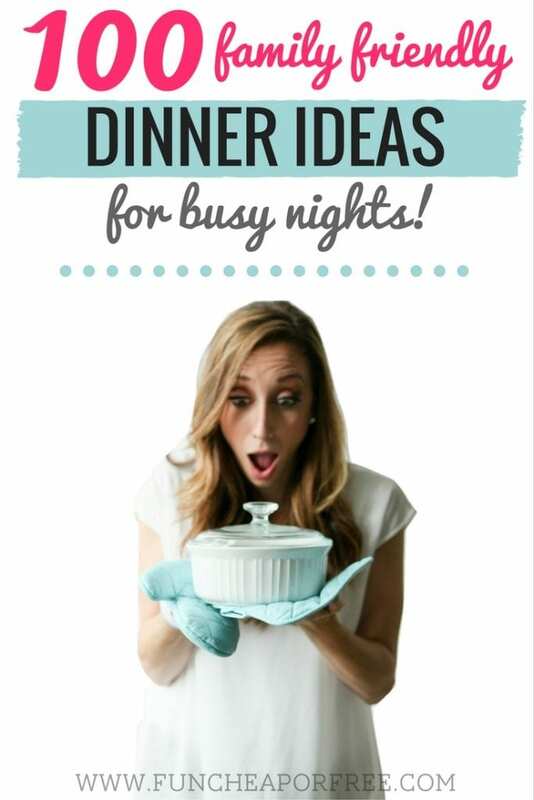 100 Dinner Ideas (+Free Printable)! 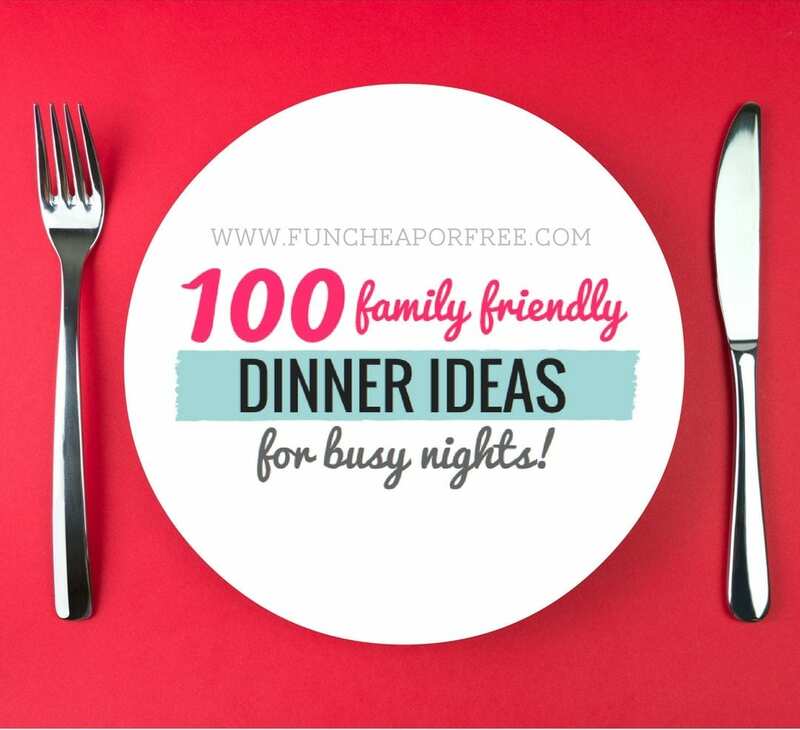 To kick off our week of no eating out it seemed like the perfect time to share my 100 dinner ideas for busy nights with you (have you joined our Focus on Finances challenges this month? If not, why not now? It's never too late to start!)! I am all about easy, no fuss, kid-friendly food that keeps everyone happy! I hope these ideas help you as much as they help me… get out of your dinnertime rut, and try out a new dinner idea! You may find your next family fav! While I am bad at planning ahead for dinner (getting better though! ), I firmly believe it's important to cook for your family rather than eating out or preparing processed meals. It's not only cheaper, but it teaches your family healthy habits and keeps you close as a family! Keep a meal list like this close at-hand! You can even separate them out based on main ingredient, meals that can be frozen, how they are cooked (crockpot, baked, grilled, etc. ), meals good enough to serve guests, etc. Click below to view the list, and get the printable version! If any of these require recipes I will try to post them over time and will update this list with links to the recipes. Otherwise, I recommend allrecipes.com for recipes. Be sure to read the reviews! LEFTOVERS! Anything that is already in your fridge, EAT IT or use it in another recipe!! Don't forget, you can click HERE for the printable version of this list! Well, that's the list! With over 100 ideas, I hope there are a few that inspire you and your family to try something new! What is YOUR go-to for dinner?? ever since I watched your instagram post today about your freezer and using creamcheese I have been trying to find your enchilada recipe! I even have the ingredients for most of these. Shelf cooking for the win!